There are a lot of blades with legends and mystery that surround them. In the tales of King Arthur, he has his legendary sword Excalibur. In the grave of King Tut, archaeologists have found a dagger that they believe to have a cosmic origin. The story behind this Entombed Dagger is still unknown. It'll be up to you to tell the ancient tale behind your blade and add a little hint of mystery to it. When you dress up as the king of the living dead, this dagger will be your claim to the throne. Maybe you'd rather be a hunter of all things evil, then this dagger can be a blade with supernatural powers that vanquishes any monster you come across. You can even dress up as an archaeologist, possessed by his latest ancient finding, a cursed dagger of the damned. 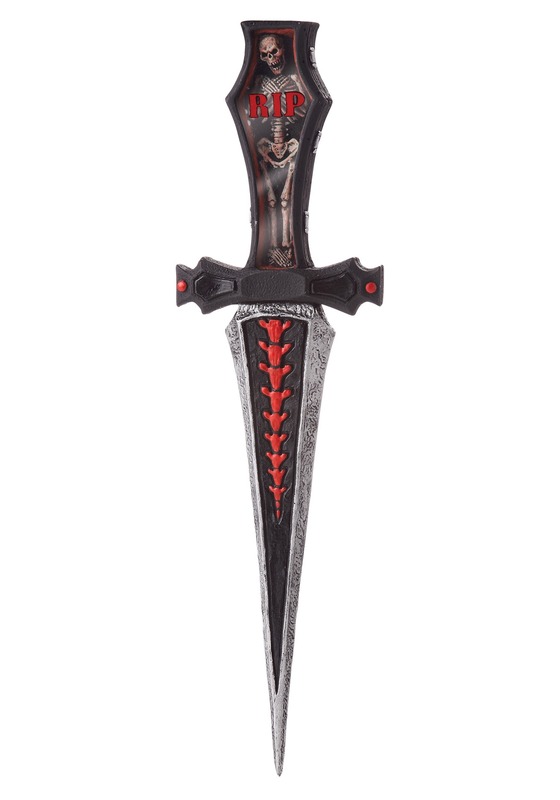 The possibilities with this Entombed Dagger are as limitless as your imagination! If haunting and mysterious is what you are going for this Halloween make sure you add this versatile accessory to your costume!